I think at the moment that Smackdown is beating RAW weekly in terms of show quality. I think Smackdown has less to work with and a weaker roster, but somehow they still are doing great with their programming for the most part. I mean, who could imagine that one of the most over people in the company or on the show would be Heath Slater? Who would imagine another career resurgence from The Miz with the world seemingly waiting to see what he does next? Who could imagine that AJ Styles would be the WWE World Champion? I wouldn't have imagined this happening, but here we are. 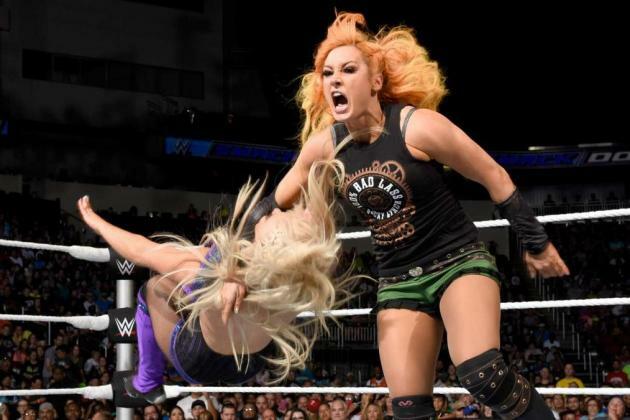 There's a few things that could add to Smackdown and its greatness, and today, we look at the things that Smackdown has done right and what could make it even better. -I'll say this: AJ as champion is perfect and needs to continue on this way for months and months until Wrestlemania 33. AJ is the best wrestler on the roster and is straight up one of the more popular wrestlers in the WWE. There's no need to give Cena another title run ever again. 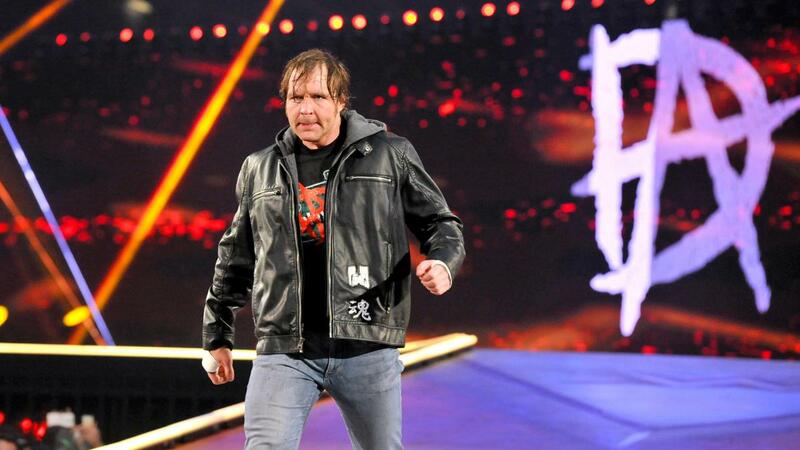 Keep him away from the main event and drive home this new era feel. 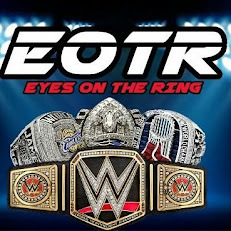 It is working wonders in some ways, and keeping AJ as champion would help drive it home. -This is one thing that would make Ambrose better. Less restrictions. Less corny jokes. More offensive language and rhetoric. Let him go be the entertaining wrestler we know him to be. 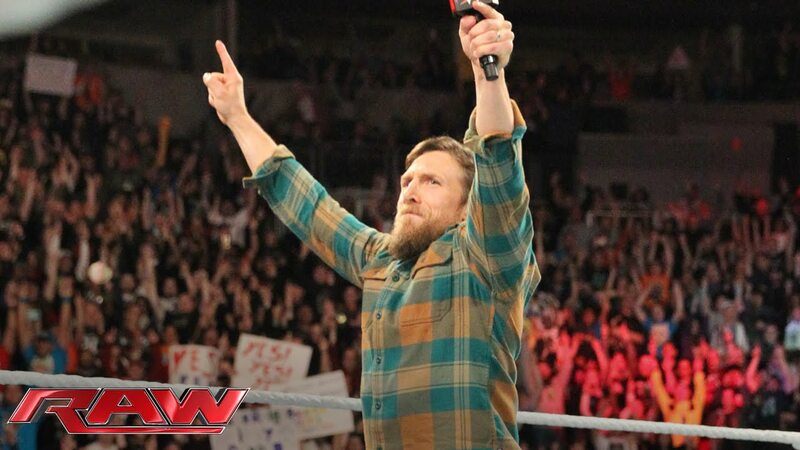 He's fallen off over the last few months, but a heel turn could truly motivate him and actually have him focused again. Ambrose is talented, but he's not focused or motivated anymore and that could be for a number of reasons. Maybe a heel turn is in order. 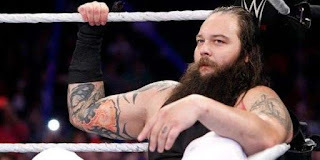 -For some reason, the WWE stopped the pushing of Bray as a face before the draft, but he was over and seemingly ready for a big breakout as a face or tweener. His "rage against the machine" character wouldn't really work against Shane or Bryan right now, but he could be great as a face against AJ Styles or even against Ambrose in reverse roles from their previous feuds. Wyatt deserves more and deserves a title run. A face turn might be the thing to take him even higher. 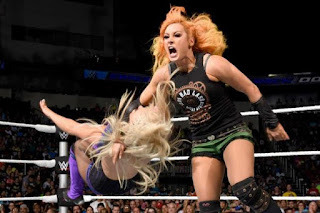 -Becky Lynch is the best choice for champion. She's certainly one of the best women on the roster today and I'm glad she has the belt. I'm intrigued to see her match with Alexa Bliss and to see how Alexa does going forward. I'd love to see Alexa Bliss gain more character and get better, same with Carmella and I can't wait for a Becky vs Naomi title feud. However, I'd like to see a few NXT girls called up and see Asuka debut on Smackdown around Mania time. Asuka vs Becky at Mania for the title has money written all over it. Keep Nikki Bella away from the title. Please. 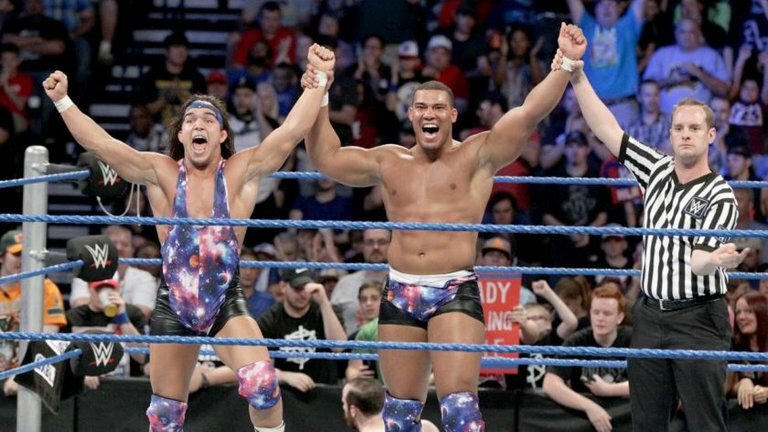 -There's one answer to the Tag team division and one big feud that's waiting to happen: American Alpha vs The Revival. We need this on Smackdown. We need The Revival on Smackdown. These two teams can carry the brand much like I think New Day, Enzo and Cass, and Gallows and Anderson can carry the RAW tag division. The Vaudevillians aren't really making a splash and Heath Slater and Rhyno are just a temporary team. The Usos heel turn is cool, but they shouldn't get another title run just yet. 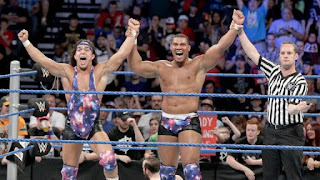 Bring up The Revival, TM61, and combine them with The Usos, American Alpha, and Vaudevillians, and perhaps Breezango, and you have a solid division. -I don't like Cena in the main event of No Mercy, but hopefully it's just a formality and him doing one more job before going away to shoot another TV show. 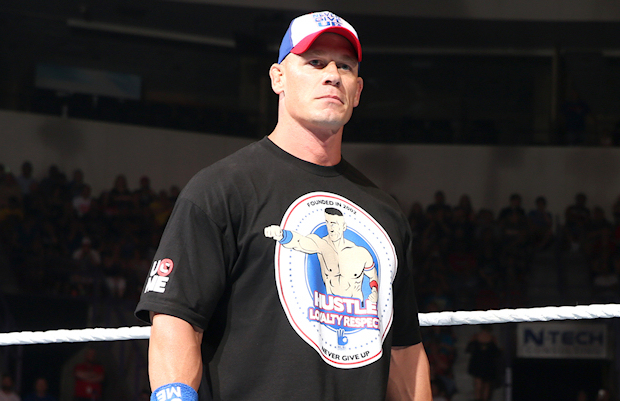 Cena needed to take a break and his absence really means nothing to the show now. I say keep Cena away from title matches and main events after No Mercy and let him work with the IC Championship and just in big matches to put younger guys over or feud with them. It's time to move on from Cena completely and give him a role that benefits everyone involved. -The mid card is not really doing anything. Miz is okay, but he's the only one getting any love. Ziggler needs a heel turn. Bray isn't getting used right. 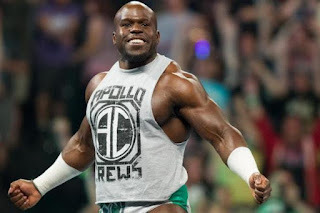 Apollo Crews is being wasted. Jack Swagger just got called over to Smackdown for nothing. Baron Corbin is just there and not really doing anything. The key to improving the overall show is to utilize your mid card as best as you can. Get these guys involved. Have a title change. Give them 15 minutes to go out and impress the fans. -The final solution. The only thing missing is one more huge main event guy for the brand. Fill the void with Samoa Joe or Nakamura. Or both. 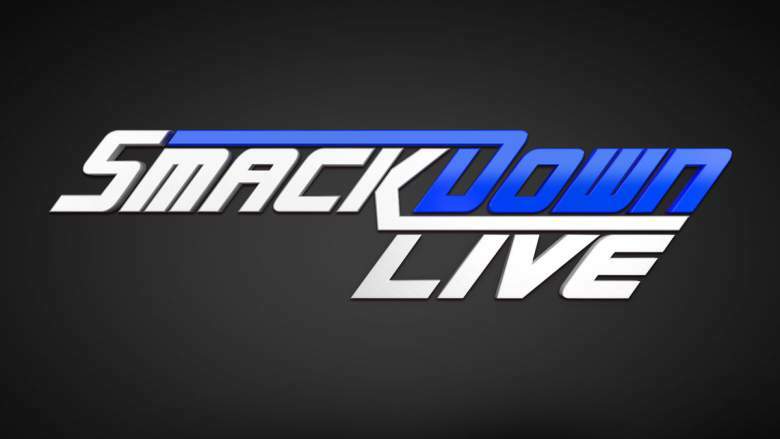 This would be all it would take to make Smackdown the premier brand. However, if you want even more icing on the cake... there's a far fetched one. -The final solution for real this time. As far fetched as it sounds, Bryan is healthy and cleared by the best doctors. If WWE would man up and clear him to Wrestle for Smackdown, imagine how amazing this could be for the brand. Bryan vs Styles. Bryan vs Miz. Bryan vs Wyatt again. Bryan vs Ziggler. Bryan vs Samoa Joe. Bryan vs Nakamura. Bryan coming back to Wrestle for one last run on Smackdown would make Smackdown the show to watch without a doubt. It makes perfect sense. Though it's unlikely, it would be the X factor in making Smackdown the show to watch. Any other suggestions? List them in the comments below.